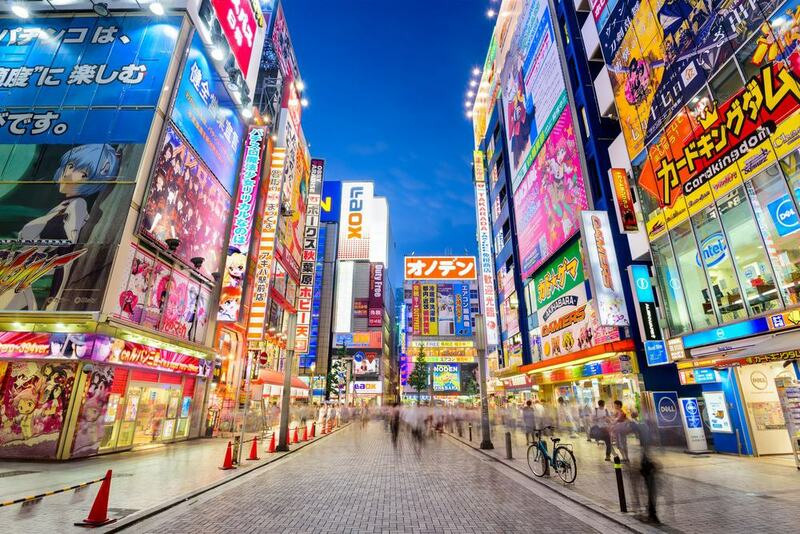 Tokyo is a city that needs almost no introduction, having been featured in countless films, TV shows and music videos. An icon of popular culture, Tokyo is also a city that never sleeps, so you will never be short of things to do when you are in town. Tokyo is known for its modern touches and Sc-Fi atmosphere, but you can also spend time here getting back to basics and enjoying the historical side of the city such as temples, parks and ancient buildings which are known for being some of the most beautiful spots in the world. As if that wasn’t enough, you can also eat and drink your way around the city which is known for its delicious food as well as its exciting nightlife scene. The Asakusa District of Tokyo is known for being the home of the Senso-ji temple which is also one of the top sights in the city. The temple is covered in gorgeous design elements and carvings, and visitors flock here to pray and drink in the serene and relaxed vibes. Also make sure that you spend time visiting the stalls that are set up outside the temple as these sell local arts and crafts, and there are shops close by that sell artifacts such as calligraphy. Many people also try to come here in the late afternoon as this is when the temple and grounds are bathed in golden light. One of the top spots in Tokyo for visitors is the Imperial Palace which is the home of the emperor and sprawls over 2,000,000 square meters. Located in the Marunouchi District close to central Tokyo Station, you need to book in advance if you want to visit. If you don’t have time however then you can still tour the grounds including the scenic outer moat, and this is a well known spot to come and view the cherry blossom in the spring time and people flock here to take wedding photographs thanks to the gorgeous outdoor setting. Many people don’t realize that Japanese locals love the sport of baseball, so if you are in Tokyo then it makes sense to also watch a game when you are in town. There are a number of different teams here such as the Tokyo Swallows and the Yomiuri Giants, and you can watch a game at a number of stadiums around the city. 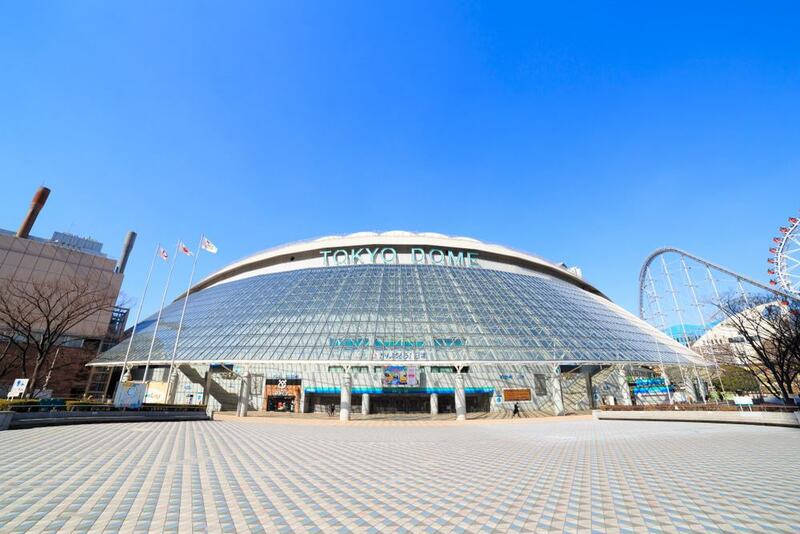 The best known is the towering Tokyo Dome, or you can also visit the Jingu Stadium, and both have old school baseball attractions such as hot dog stands. The Akihabara District of Tokyo is located around Akihabara Station and is also called ‘Electric Town’ in English. 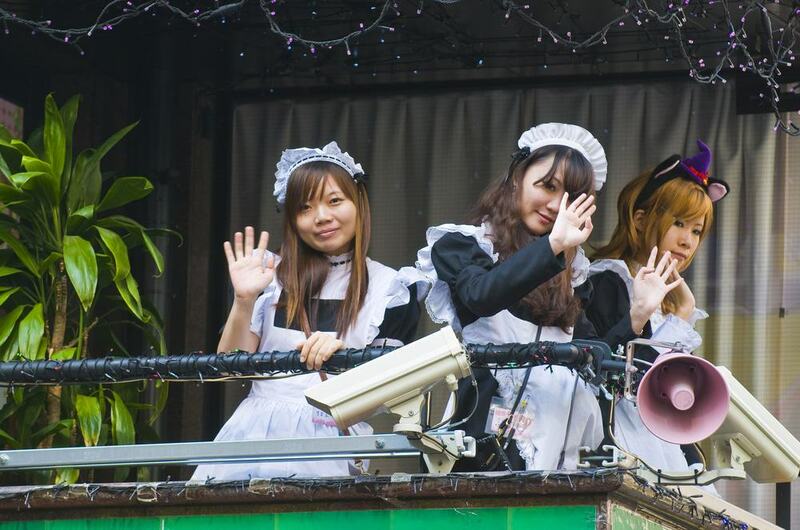 It is known primarily for its quirky venues such as maid cafes and cosplay bars which many tourists want to visit as these kinds of attractions are unique to Japan and you can learn more about the otaku culture here. 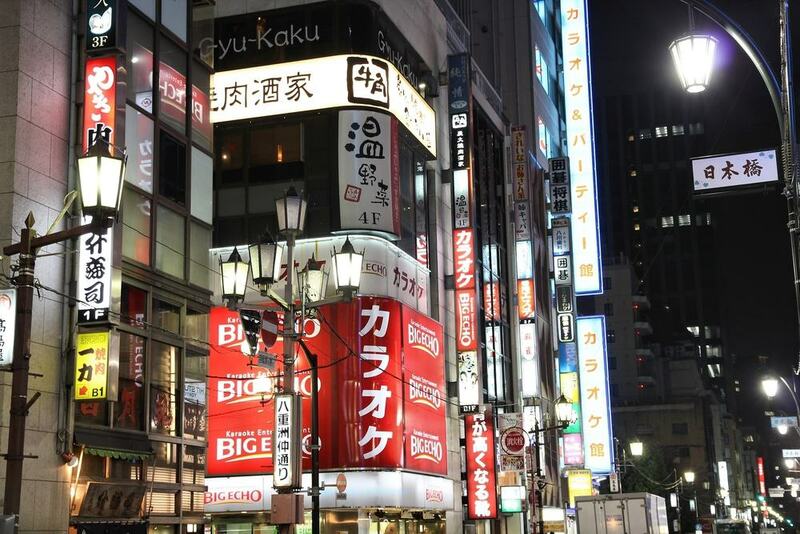 You will also find a range of underground bars, theaters and clubs here and this is also a great place to shop if you are looking to stock up on the latest Japanese fashions. 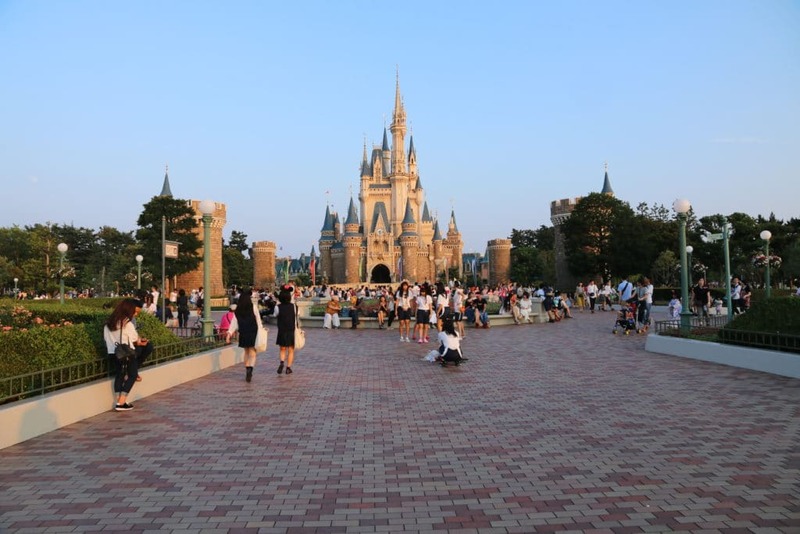 Tokyo Disneyland unfurls over some 115 acres and is located in Chiba which is close to Tokyo. The park first opened its doors in 1983 and is based on the Disneyland parks which are located in the United States. This is also part of a wider park which also includes Tokyo DisneySea, a water park and aquarium. Disneyland Tokyo is made up of different sections such as Tomorrowland, Westernland, Fantastyland, World Bazaar and Adventureland, and you can spend time enjoying rides in the different areas as well as watch shows and eat and drink your way around the facility. 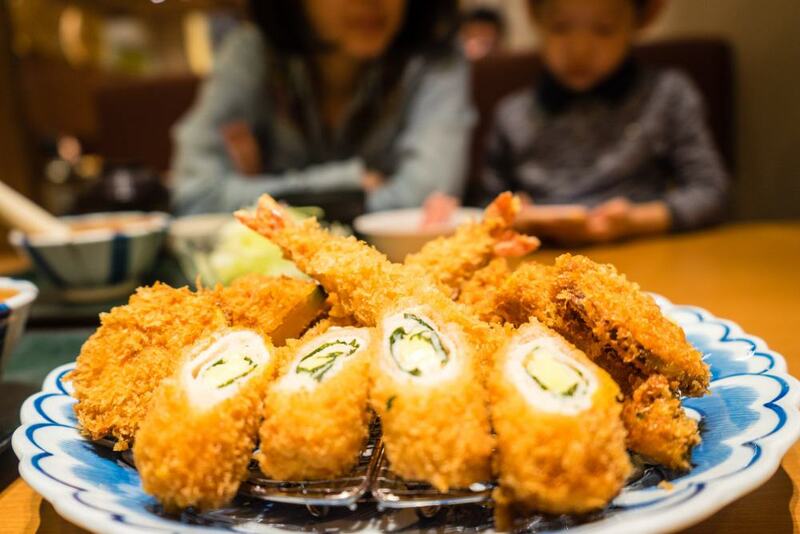 Tokyo is known for its local specialty of Tokyo tonkatsu which is a pork cutlet covered in breadcrumbs. You can get tonkatsu all over town but Tonki is the name of a cafe which has been serving this Tokyo tonkatsu for more than 80 years and you will probably recognize the place from quite far away as there is usually a line of people outside. This is one of the most delicious local snacks in Tokyo so make sure not to miss it when you are in town. When people think of Japan they often also think of its national sport of Sumo wrestling. With that in mind, if you want to learn more about this amazing sport, then you need to head to the Sumo Museum which is free to enter and will fill you in on all the history. 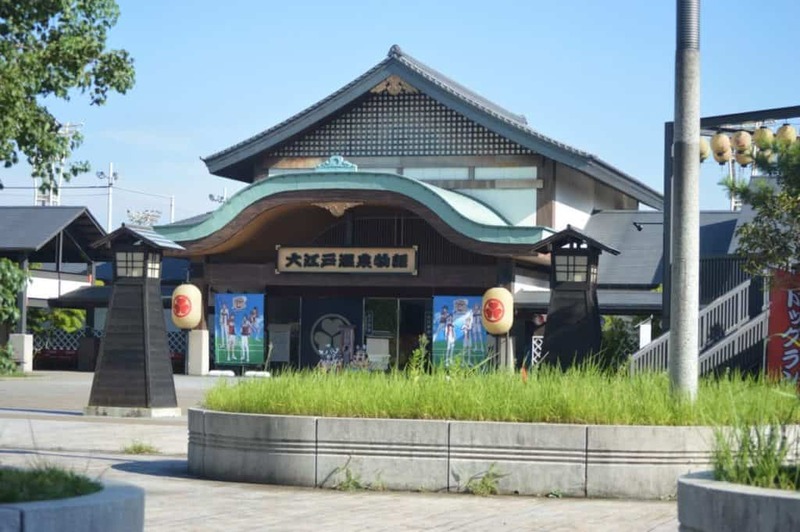 The museum is also part of the Kokugikan Sumo Stadium in the Ryogoku district and you can check out a huge range of items here such as paintings, blocks prints and memorabilia that chart the rise of sumo through the ages. Yasukuni Shrine is one of the top places to come if you are in Tokyo for the cherry blossom season from March to May. 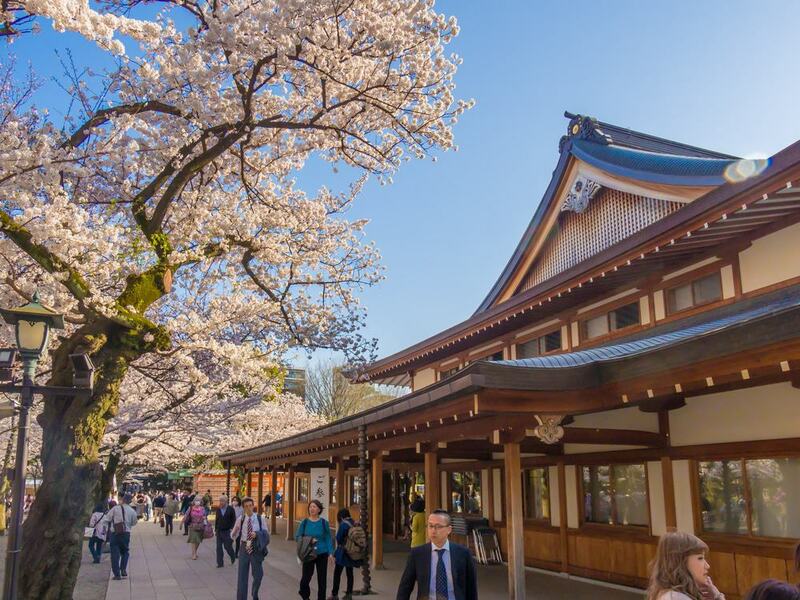 You can see cherry blossom trees in bloom all over the city but one of the best places to do so is at Yasukuni Shrine as this is also the home of the Sakura Festival and there are some 600 cherry trees here. 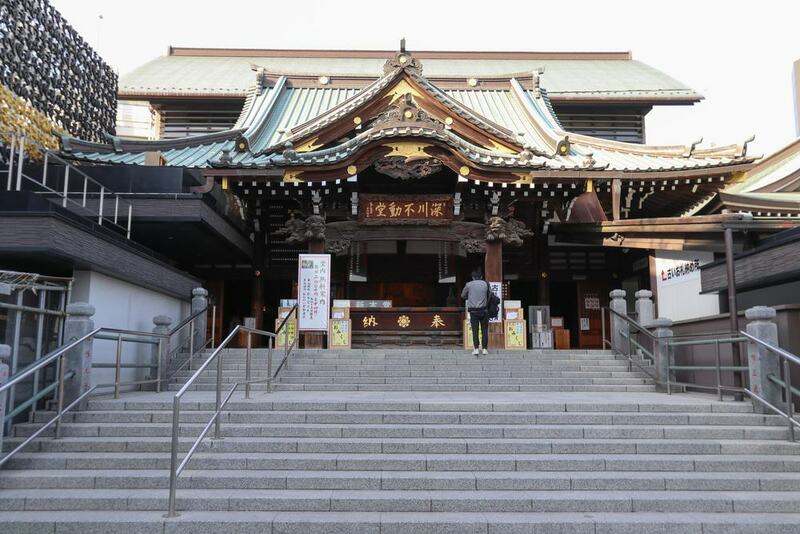 To make the festival even more iconic, it is also usually hosted by a number of famous sumo wrestlers and this is also one of the top shrine and places of worship in the city. Antenna Shops are well known across Japan and one of the most famous is located close to Tokyo Station. 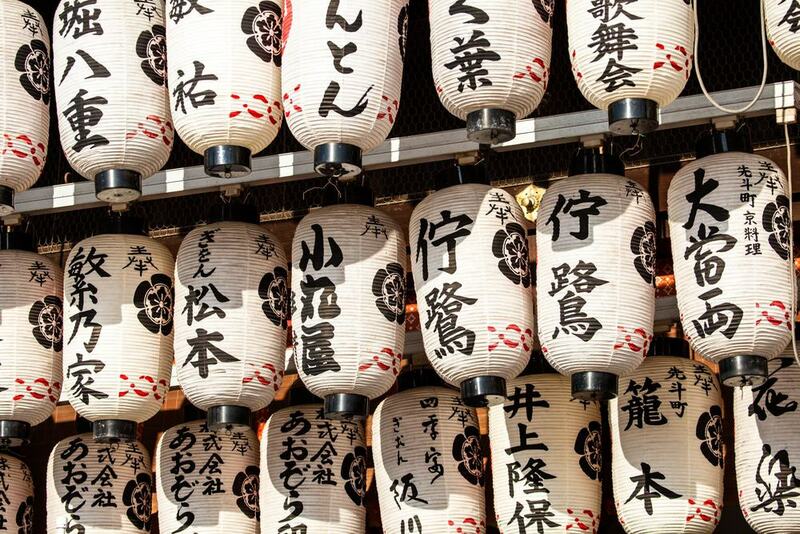 As the name suggests, these shops sell items from all over Japan which have been collected in one place, so you can pick up souvenirs and handicrafts from places as far flung in Japan such as Okinawa and Kyushu. The idea of Antenna Shops is to showcase the diversity of Japan, so if you don’t have time to get outside of Tokyo then this is a must-visit. 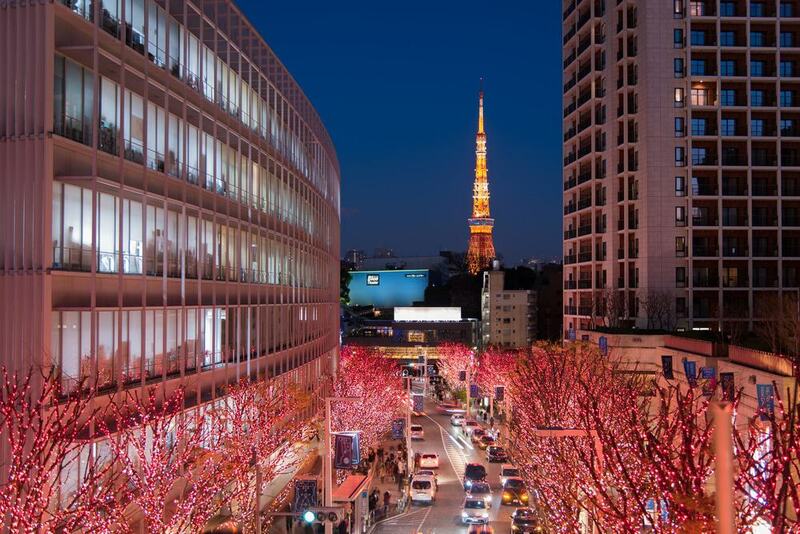 If you are looking for the best nightlife spot in Tokyo then you need to head to Roppongi which means ‘Six Trees’ in Japanese. This part of town is known for its nightlife and you will find a plethora of clubs, bars and cabaret acts here. Depending on your preferences and budget, you will find something for everyone here and there are also sports matches held here as well as robot exhibitions and shows. In the spring time this is also known as a top spot to check out the iconic cherry blossom for which Japan is so famous. Tokyo Skytree has the claim to fame of being the tallest building in Japan and soars to a height of some 634 meters. It is located in the Simuda District of Tokyo and you will find a large mall here as well as a restaurant and observation deck. At night the tower shimmers blue and pink and you can visit at night until 10 pm so that you can check out the sparkling city below. 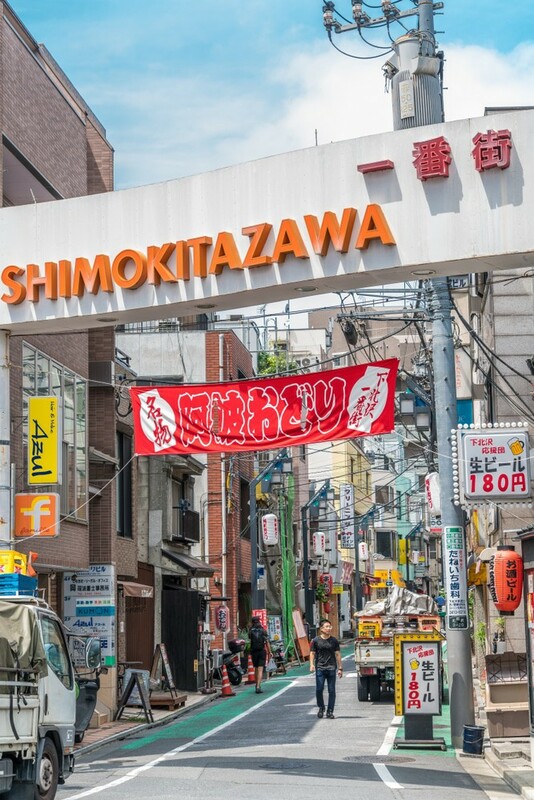 Shimo-Kitazawa is also known colloquially as ‘Shimokita’ which is a place that is said by locals to be like a concentrated version of the whole of Tokyo. Here you will find a district that is mostly made up of artists and intellectuals, and the streets here are much narrower than most of Tokyo making you feel as if you have entered another world. This is a much less-visited part of the city so it is worth coming here for this reason alone, as well as the great shopping option, particularly at the weekend. 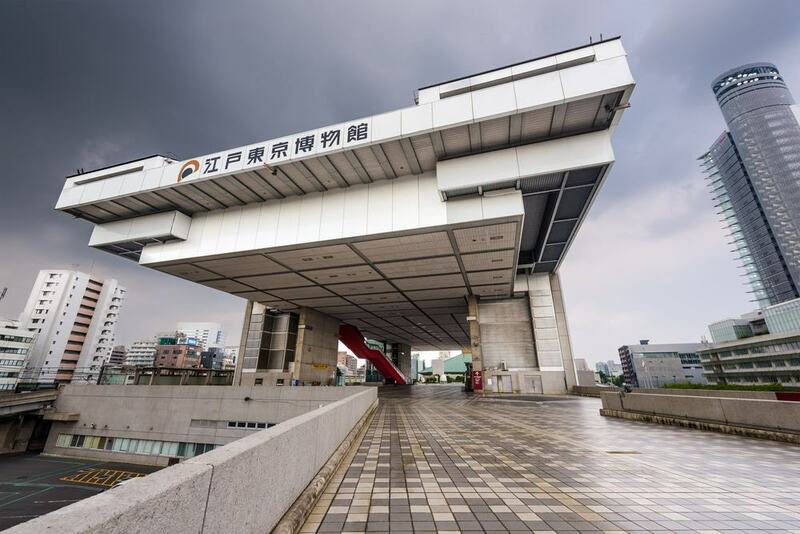 The Edo-Tokyo Museum is the name for a history museum which will take you back in time and show you firsthand how Tokyo developed over the years. To that end you will find amazing model buildings of old feudal homes and you can check out old maps that will show you have things would have looked here in the days of old. You can also walk around the models such as a reproduction of the Nihobashi Bridge and even take a look at banks, theaters and old city walls. Everyone knows that Japan is famous for karaoke bars and with that in mind you should make sure to spend some time singing along to some of you favorite tunes. One of the most famous karaoke bars in the city is called Karaoke Kan. 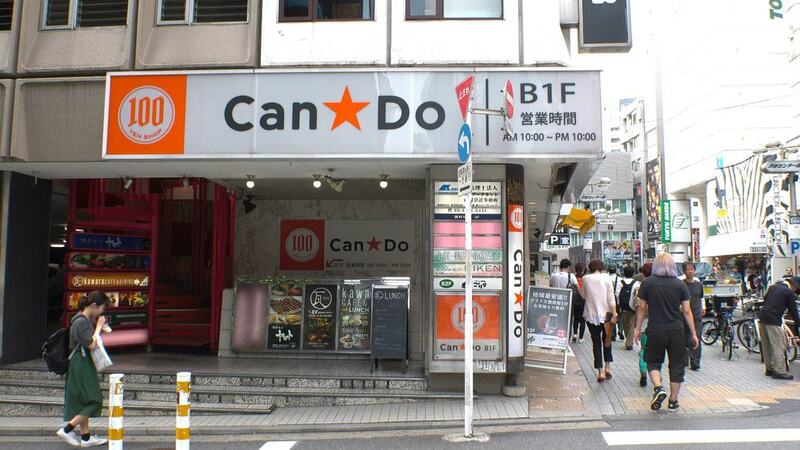 This was the place that was made famous by Bill Murray in Lost in Translation and is now one of the most sought after places if you want to sing a few songs and have a few drinks during a night out in Tokyo. 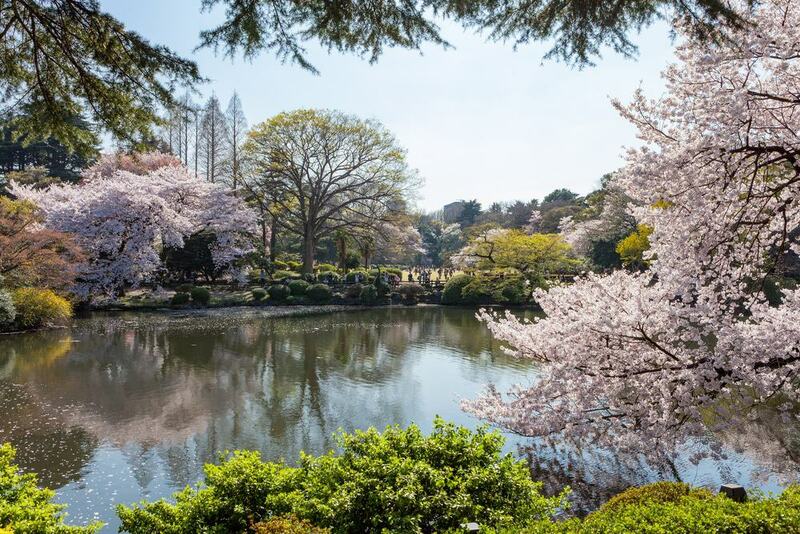 Rikugien Garden has the claim to fame of being one of the oldest and most beautiful gardens in all of Tokyo and is also one of the top places to check out the cherry blossoms in the spring time. The garden was first opened in 1695 and you can walk around and take in the beauty of the cherry blossom trees where when they are in full bloom. This is also one of the gardens in Tokyo that is open at night during cherry blossom season from April to May, so make sure you don’t miss it if you are in town at this time. If you are in Tokyo for a few days and want to leave the city for a quick day trip, then consider heading to Yokohama. This city is actually more of a suburb of Tokyo than a different spot in its own right and it take around 25 minutes to get here by train. Once you are in the city however you can enjoy a range of attractions such as Minato Mirai which is the name for the port area in the city and can even ride on the signature attraction which is an imposing Ferris wheel which is illuminated at night. This is also the location of one of the famous Ramen Museums in Japan. 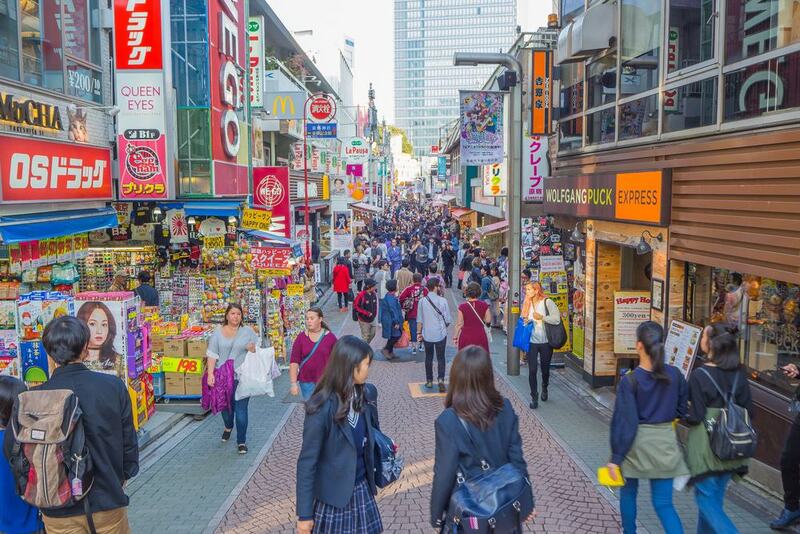 If you want to go shopping in Tokyo then you need to head to the Harajuku District which is known for its eclectic shops and dining options. Harajuku mainly attracts a crowd of young Japanese who are interested in cosplay which is a form of dressing up in elaborate costumes, and if you come here on a Sunday then you will find large groups of revelers here who come to parade around in their distinctive outfits. If you want to shop like a local then this is one of the best places to do it and you can also eat in one of the famous cafes here at the same time. Odaiba Island is part of Tokyo Bay and is made up of a reclaimed part of the bay which also features an artificial beach. The beach is known for its encircling quirky attractions such as a model of the Statue of Liberty and you can also come here to just lie on the beach and top up your tan in the summer months. To get to Odaiba Island you can travel across the Rainbow Bridge which is also colorfully lit up at night. Japan is known for its elaborate traditional costumes but none of them is more iconic than a kimono. This is a traditional clothing item which is usually worn by women for special occasions such as weddings, and you can go and have a kimono fitted in Tokyo and then walk around the city as part of a tour and take photographs. 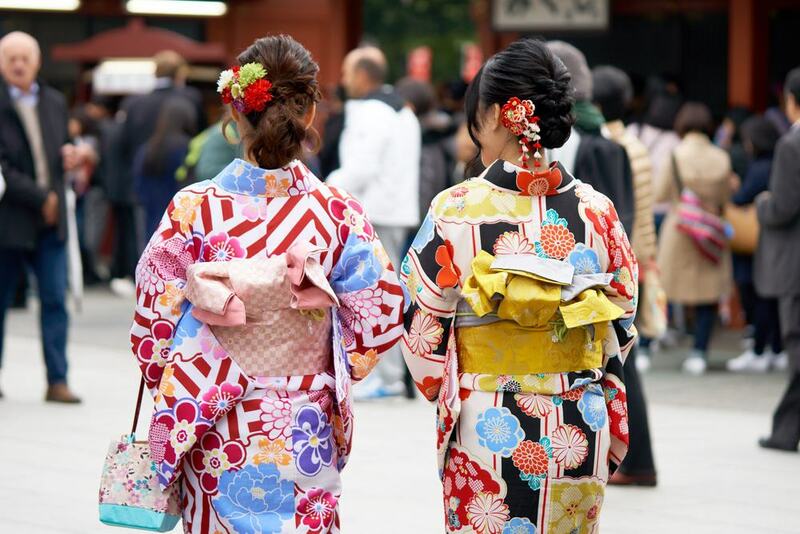 One of the main places in Tokyo to wear a kimono is in the Asakusa District and this is a great way to get some excellent souvenir photographs of your time here. 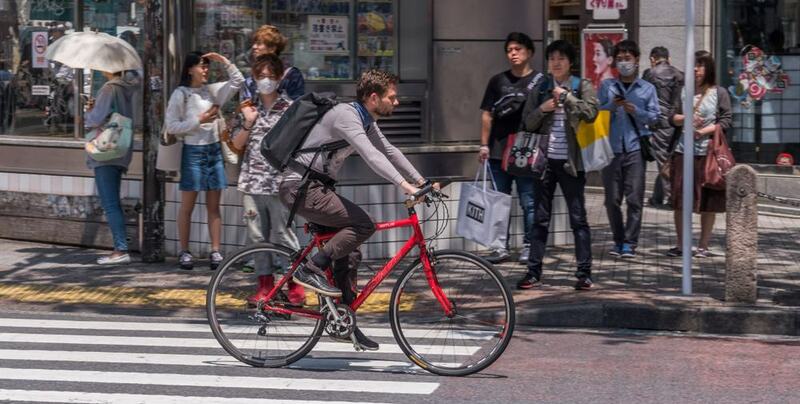 A great way to see Tokyo from a different perspective is to take a cycling tour which is free if you rent a bicycle at Uchibori-dori which is located next to the pretty Hibiya Park. 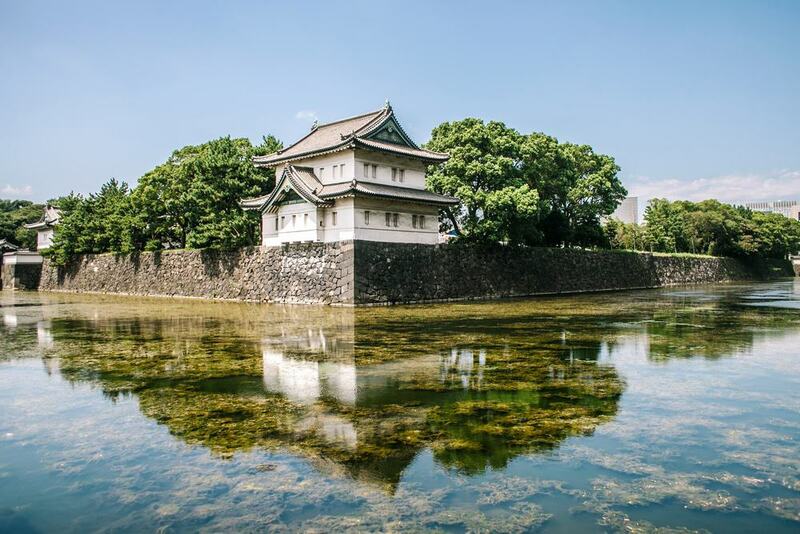 The bicycle path skirts close to the Imperial Palace, hence the name, and this means that you can take in the pretty sights of this majestic building while also getting in a workout at the same time. There are 250 bikes that can be rented for free here and you can use these free of charge if you come on a Sunday. Onjuku Beach is located just over an hour away from the center of Tokyo so it is a great place to visit if you want to get out of the city for the day. You will know you have reached this beach when you arrive and find its signature statue which is of several camels topped by two kings from the Middle East. 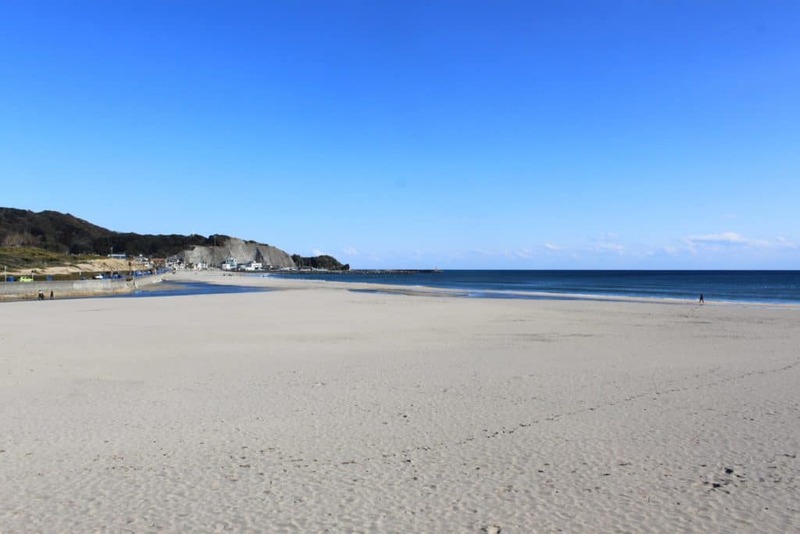 This is a rather unexpected sight in Japan, but the main reason to come to the beach is also to check out the soft sand that is perfect if you want to relax for a few hours and top up your tan. Tokyo, and wider Japan, is known for its ‘maid cafes’, but if you want to buck the trend slightly then you can visit a butler cafe. This is primarily aimed at female patrons who can dine and be waited on by male staff who wear butler outfits. One of the best areas to try out a butler cafe is in Ikebukuro and you can head to Otome Road which is known for butler cafes, clothing stores and anime shops. Oedo Onsen Monogatari is a set of onsen or traditional hot springs which are located within a dedicated theme park. On a trip here you can enjoy relaxing in the warm waters and you can also have a massage as part of the experience. As this is a theme park and not just an onsen site you can also enjoy a range of cafes and restaurants here and other attractions like on site fortune tellers. 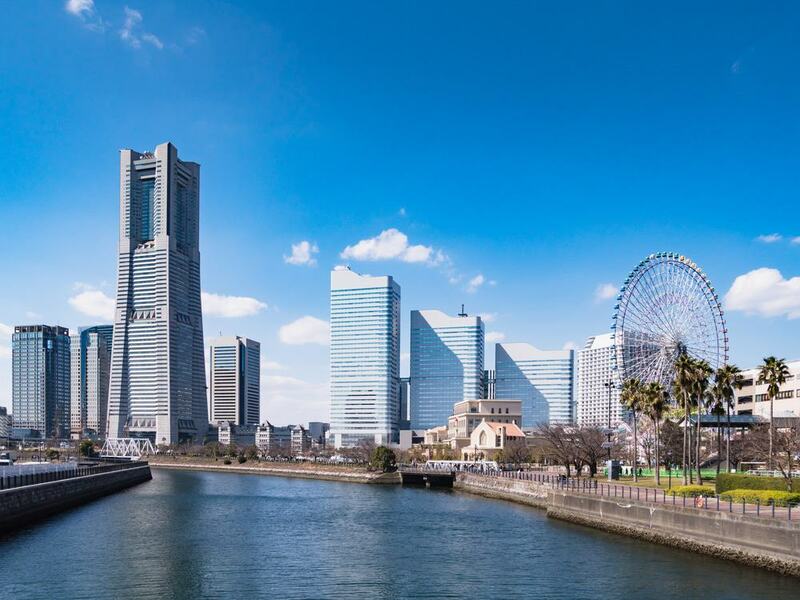 If you want to see Tokyo from a different vantage point then consider signing up for a cruise that will take you along the charming Sumida river in Tokyo. This will take you past the downtown area of the city and cruises have been operating here since the 8th century, so know that you are following in a time honored tradition. 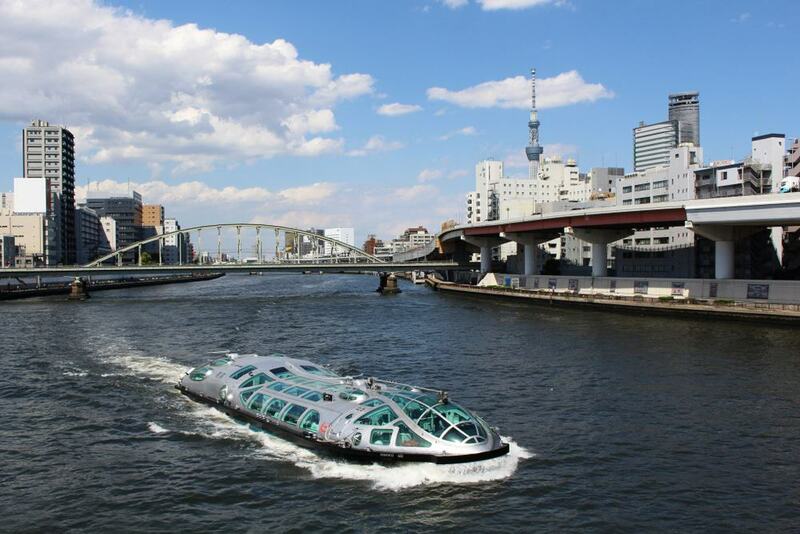 As you cruise you can also drift past areas such as Asakusa and Hamamatsucho, or you can also charter a boat and head out on a custom tour if you prefer. Asukayama Park is located close to Oji Station and it is here that you can come if you want to ride the Asuka Park Monorail. This train is free of charge and you can travel to the summit of this pretty park which is located on a scenic hillside. The ride allows you to take in the amazing views over the city and it takes around two minutes to reach the peak. If you are traveling to Japan in the spring or autumn months then make sure not to give this a miss as you can take in the cherry blossom as well as the copper leaves in the fall. Once you arrive at the summit you can also spend time walking around this gorgeous park and enjoying the calm atmosphere away from the crowds. 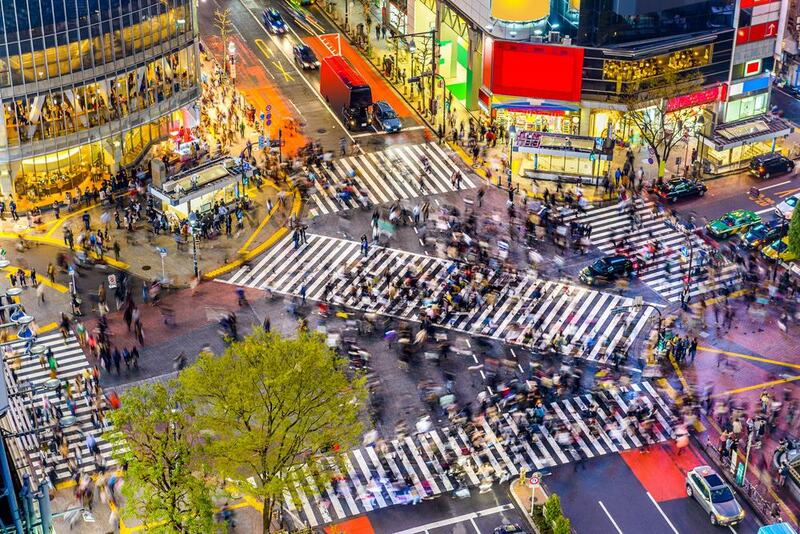 Shibuya Crossing is one of the most famous places in all of Tokyo which is saying something for such an iconic city. Shibuya Crossing is known for being the main intersection in Tokyo and hundreds of people cross it every single day, making it an amazing sight if you have never seen so many people in one place at one time. You can walk across the crossing itself if you want to get the full immersive experience or you can look down on the spectacle from the point of view of the neighboring Shibuya Bridge which is part of Shibuya Station and which makes a great place to take a few photographs. 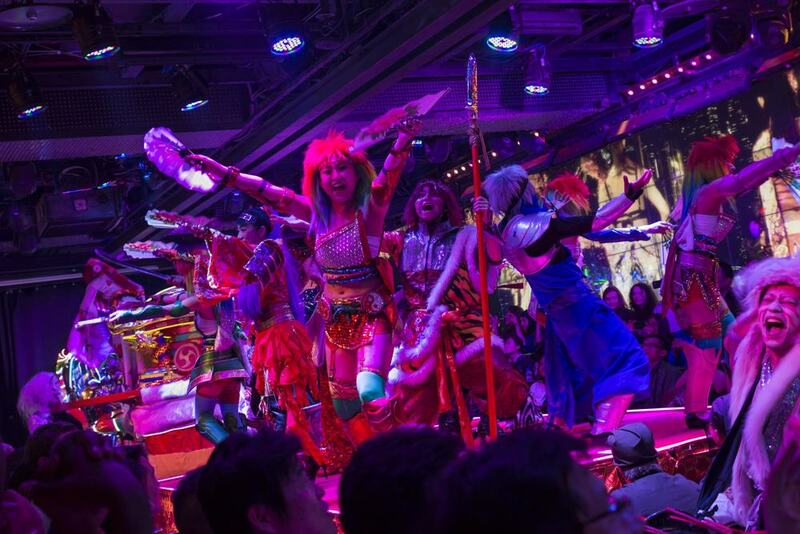 One of the most famous spots in Tokyo is the Robot Restaurant which is features a stage where an iconic robotics show takes place that has dancers and robots as well as music and theatrical performances. This show was made famous by Anthony Bourdain in ‘Parts Unknown’ and you can also get dinner here such as sushi bento boxes and also order drinks like beer. Most people however come here for the eclectic and fast paced show however which is said to be one of the main highlights of a trip to the city. If you want to stay somewhere cheap and compact in Tokyo then you need to choose a capsule hotel, at least for a night or two. 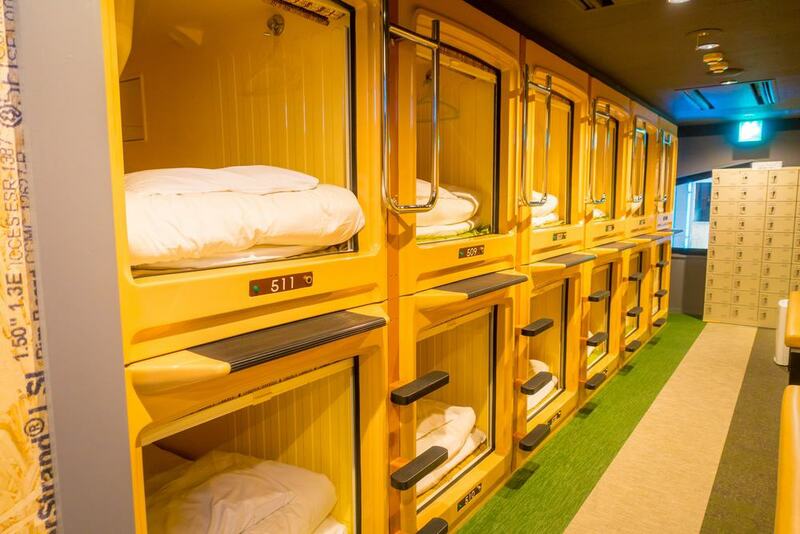 Capsule hotels, as the name suggests, are small hotels where you get a bunk or a ‘capsule’ which is just big enough for you to squeeze into and sleep for the night and this kind of hotel is often used by businessmen who work late and can’t get the last train home in the evenings. One of the best places to try a capsule hotel is at Ikebukuro Plaza which is also a good pick for solo female travelers as they also have women only floors available. Ueno Park is one of the main parks located in Tokyo and sprawls over some 530,000 square meters. 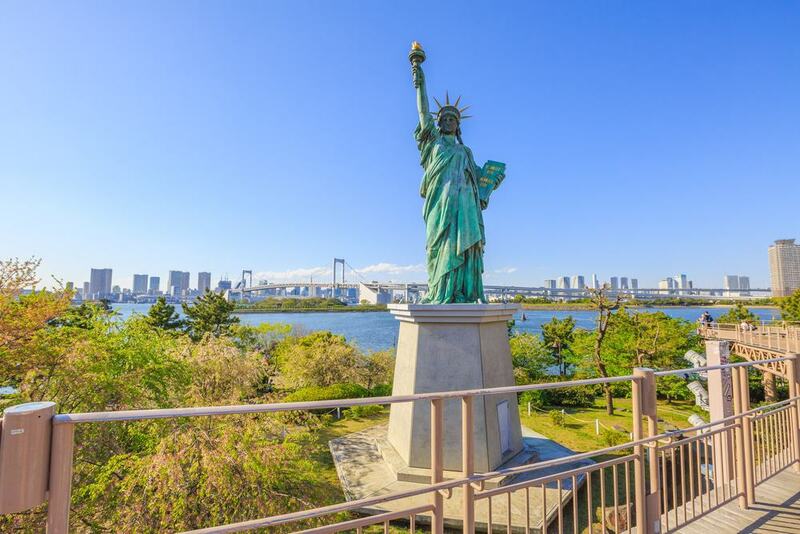 The park is also known by its English name which is the Forest of Culture as there are a range of attractions on the ground including a small forest and an area known as Shinobugaoka which is the place to come in the spring months. At this time the cherry blossom trees burst into full bloom here making the walkways a riot of color. Also make sure you check out Shinobazu Pond which is known for its lotuses. Komorebi no Ashiyu is the name for a hot springs in Tokyo, but at first glance this may not sound very exciting, as Japan is known for its traditional onsen. What makes this hot springs different however is that this is a man made attraction and the water here is actually hot as a result of the waste processing factory which is located next door. 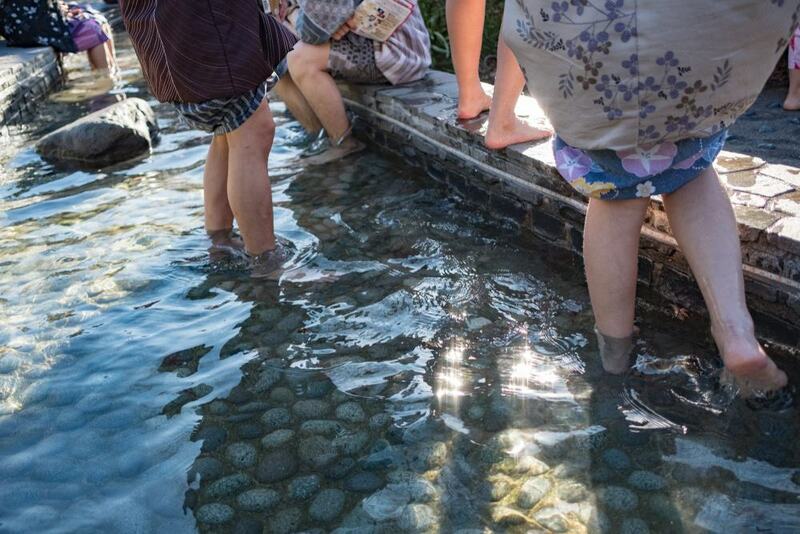 The water is then passed through a series of wells to the onsen and you can come here and soak your feet which can be a welcome relief if you have been pounding the pavements of the city all day. 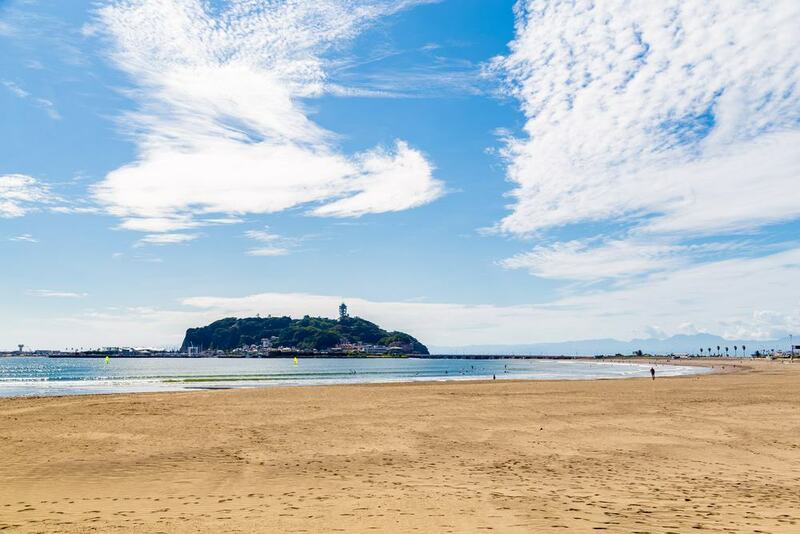 Another good choice if you want to get out of the city for a while is a trip to the Enoshima Beaches which are located in neighboring Kanagawa. Here you will find a range of different strips of sand and you can rent a small cabana here or a deck chair and chill out in the sun. The waterfront is also dotted with restaurants and bars so you can dine and drink throughout the day, as well as check out the amazing sunsets when day turns to night. Japan is known for its distinct culture including its amazing tea ceremonies which have been a staple of Japanese tradition for centuries. One of the best places to learn more about this intricate ceremony is at the Happo-en Japanese Garden where you check out the traditional bonsai trees as well as the ornate koi fish pond. 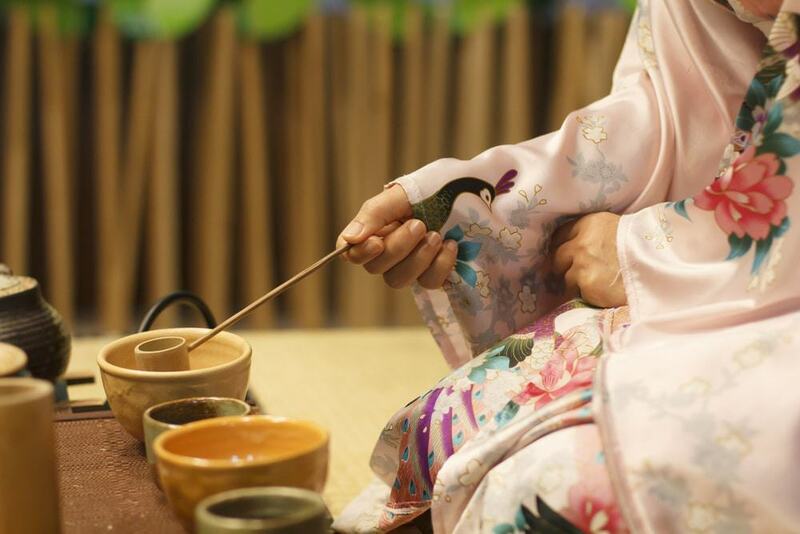 If you book in advance then you can watch and take part in one of the ceremonies and learn how the green tea powder called Matcha is mixed and whipped to make a cup of this delicious brew. 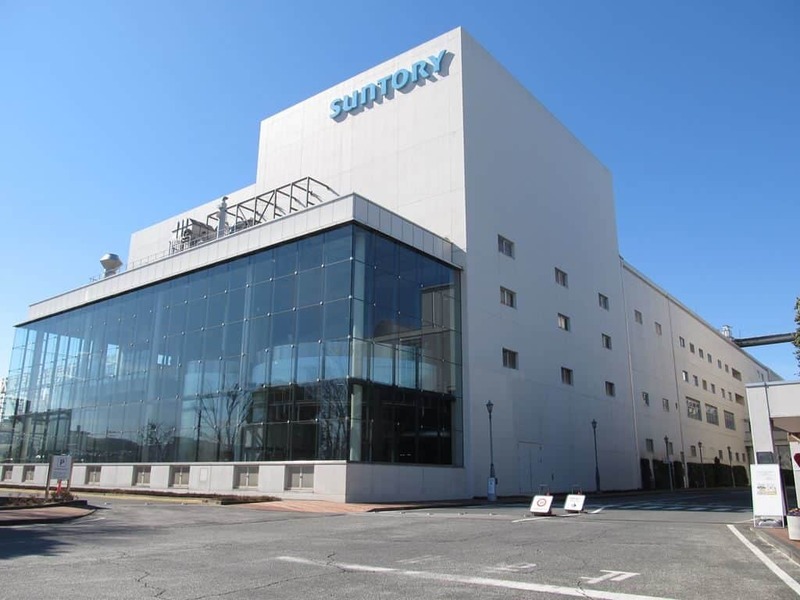 One of Japan’s most famous beers is Suntory Beer and now you can find out exactly how the beer is brewed at the Suntory Musashino Beer Factory. The factory offers and hour long tour here and, even more amazingly, it is free of charge. The tour will walk you through all the history of the beer and you can find out how it is processed and even try some of the signature brews here as you tour the factory floors. Japan is known for being quite an expensive place to visit, so if you want to keep your costs down and also stock up on some souvenirs then you need to seek out a 100 Yen Shop which are also known as Hyaku En. These shops sell all their items for 100 yen and you can pick up a range of goods like groceries and other sundries. You will find these kinds of shops all over Tokyo and they make a great stop off if you are looking for a bargain in the city. Tokyo is a city that is often best seen from the air in order to get an idea of the sheer scale of this throbbing metropolis. 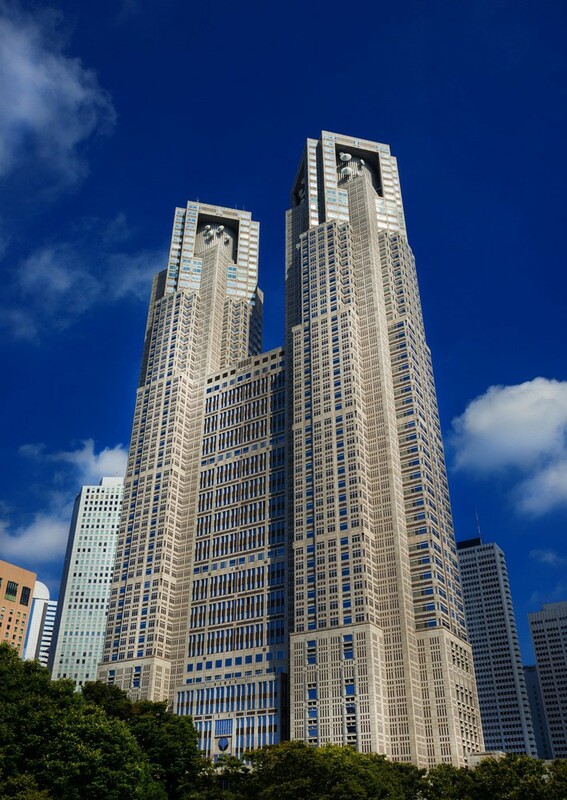 With that in mind therefore, one of the best places to come is the Tokyo Metropolitan Government Building Observatories were you can visit the observation deck which is free of charge and which rises to a height of some 200 meters. Another great attraction here is that there also a park area which younger visitors are sure to enjoy. 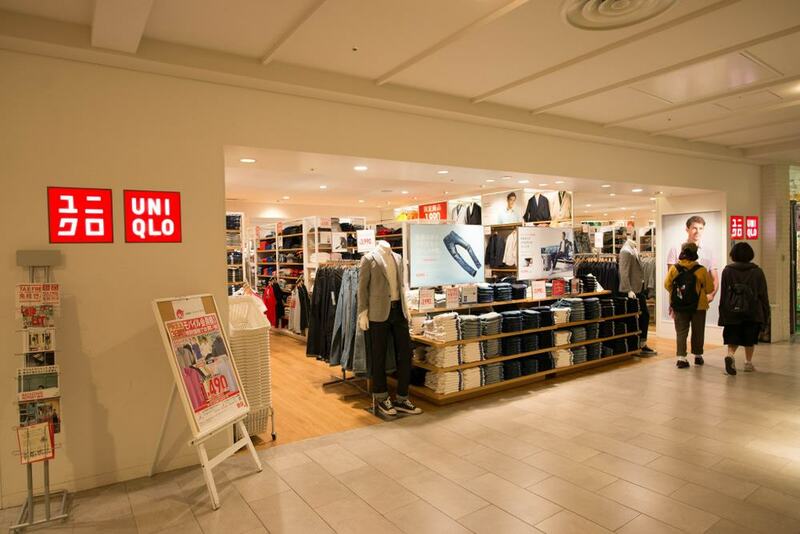 Uniqlo is one of many Japanese brands that has taken the world by storm thanks to their amazing clothing which is sold for both men and women in a range of colorful hues. If you want to get to the source, then you need to come to the Uniqlo store in Ginza which expands over an impressive 12 floors. Not only can you pick up some of the latest fashions here but you can also check out the wider Ginza shopping area at the same time. 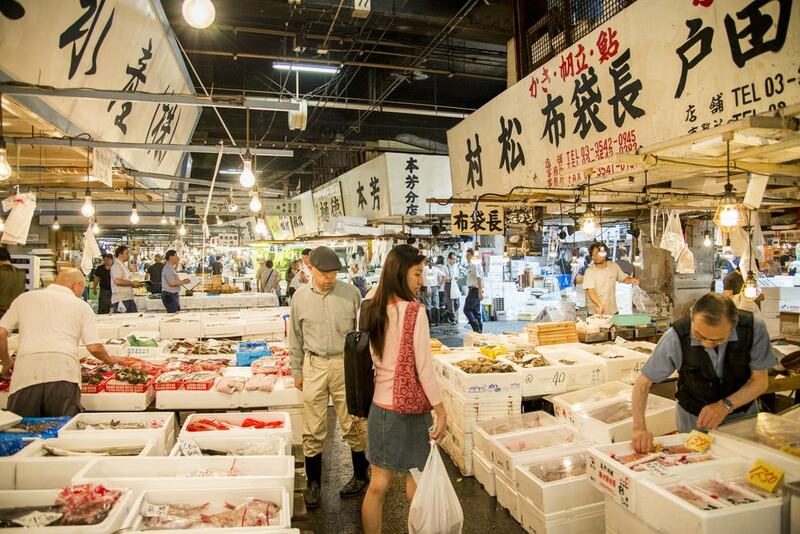 Tsukiji Market is one of the most famous fish and seafood markets in the world and every single day tones of fish are sold to sushi restaurants across the city. If you want to visit the market then you will need to get an early start as the main action kicks off around 4am when you need to register as a visitor. Once you have however, you can then walk around and check out all the amazing fresh produce on offer here from the vantage point of the dedicated viewing areas, and many foodies consider this the culinary highlight of a trip to Tokyo. Ryogoku Kokugikan is known as the National Sumo Hall in English and is one of the best places to come in Tokyo if you want to check out some of the local culture. 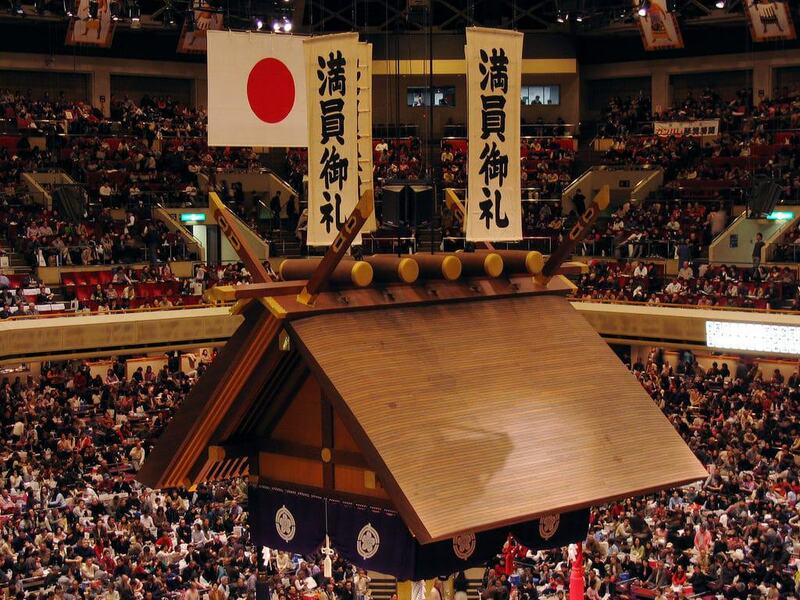 On a trip to the hall you can watch a thrilling sumo wrestling match which includes age old traditions such as tossing salt into the ring before a match to make it pure for the wrestlers. 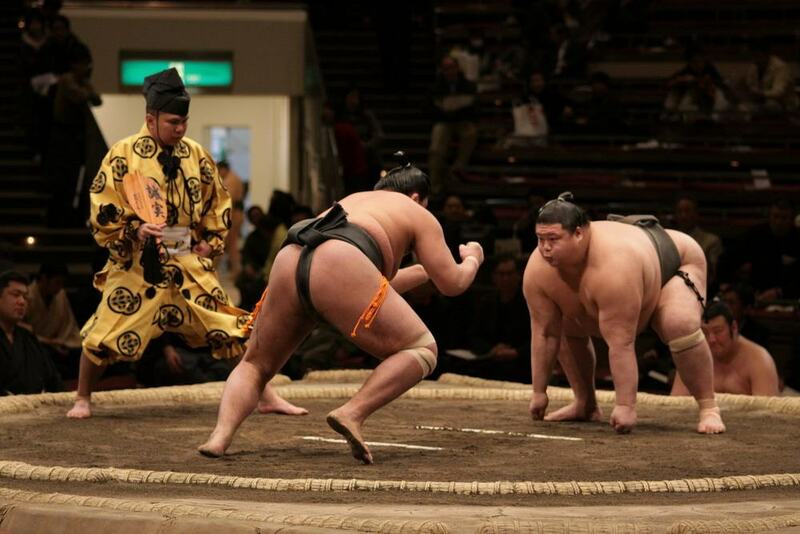 There is a main sumo season in Japan and schedules are subject to change, so make sure you check out the local listings so that you don’t miss a match when you are in the city. Meiji Shrine sits in the Shibuya District in Tokyo and has the claim to fame of being one of the most famous temples in Japan, which is no small feat. 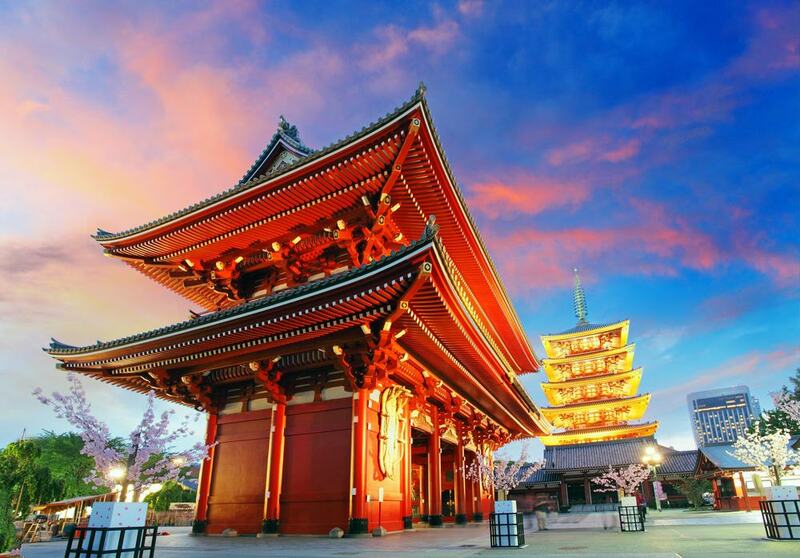 This temple is dedicated to the Shinto faith and is known for its gorgeous design aesthetic and its pretty gardens which have a serene and relaxed feel in the center of the city. The shrine gets its name from Emperor Meiji and is also dedicated to the Empress Shoken, and every year thousands of worshippers come here to enjoy the beauty of this amazing building. 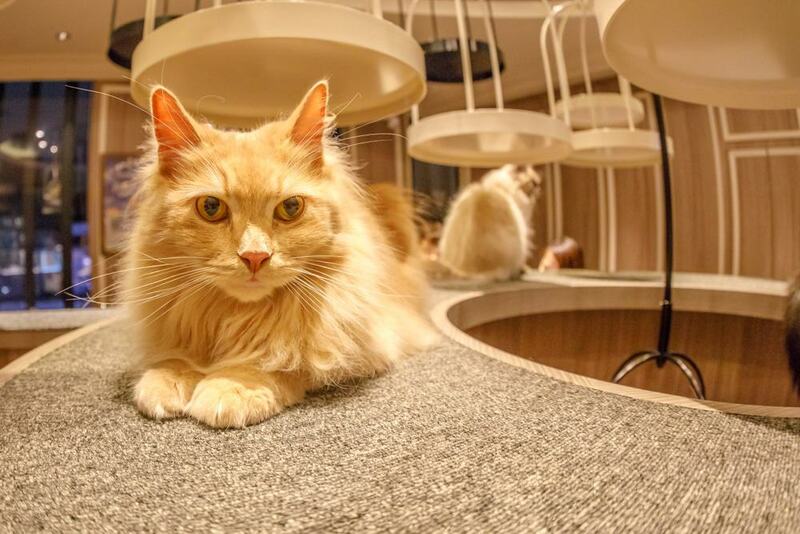 Japan is now known for its unusual cafes and one of the most famous is the Cat Cafe in Nekorobi. If you love felines but don’t have your own pet, then you can come here and check out all the resident cats here as well as get a coffee or a bite to eat at the same time. Interacting with the cats and playing with them is encouraged, and this is a quirky place to visit if you want to see how locals make up for the lack of space in Japanese apartments which means that keeping a pet is often not an option. 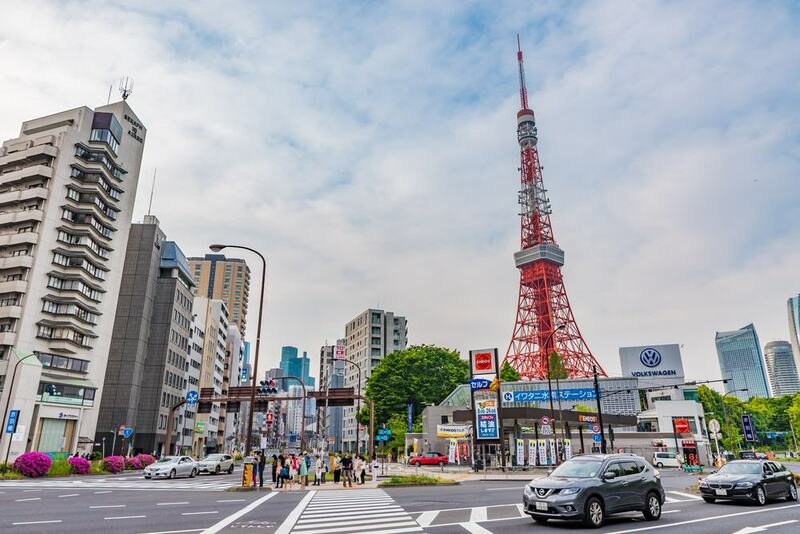 If you want to access some of the best views in Tokyo then you should consider heading to Tokyo Tower which is instantly recognizable as it is designed to look like the Eiffel Tower in Paris. 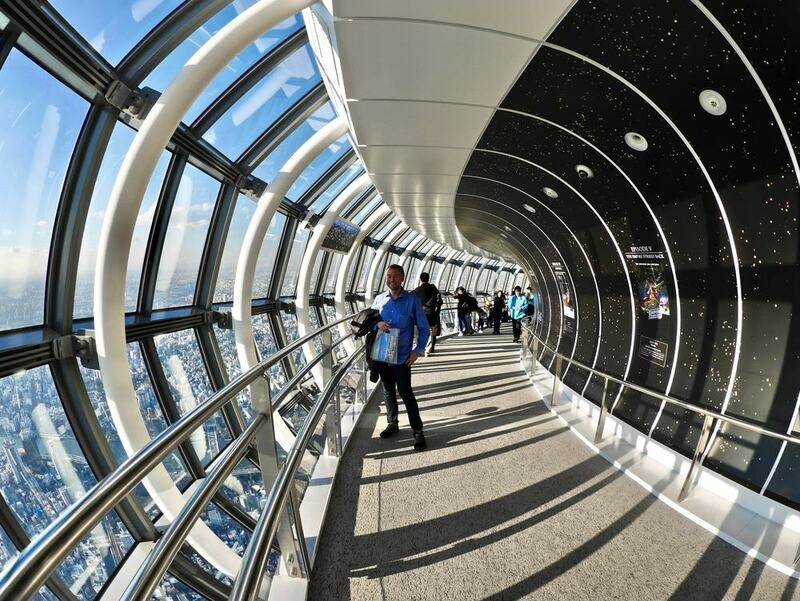 There is an observation deck here where you can walk around and enjoy gorgeous vistas across the city. If possible, try to visit in the evening as the night views across Tokyo are even more stunning than the panoramic vistas during the day. Many foodies will tell you that Japan has some of the most delicious food in the world, and if you like noodles then you are in luck. Japan has some of the most amazing noodles dishes of any country on earth and to that end you will find noodle bars all over Tokyo. The only problem you may have is deciding whether you want soba which are noodles made of buckwheat or chewy udon which are made of white wheat. Whatever you choose however, the noodles are bound to be delicious and you can get a bowl for as little as 200 yen, making this a quick and healthy snack between sightseeing opportunities. Many people think of Tokyo as an urban city, but you can still find some amazing strips of greenery in the city if you know where to look. 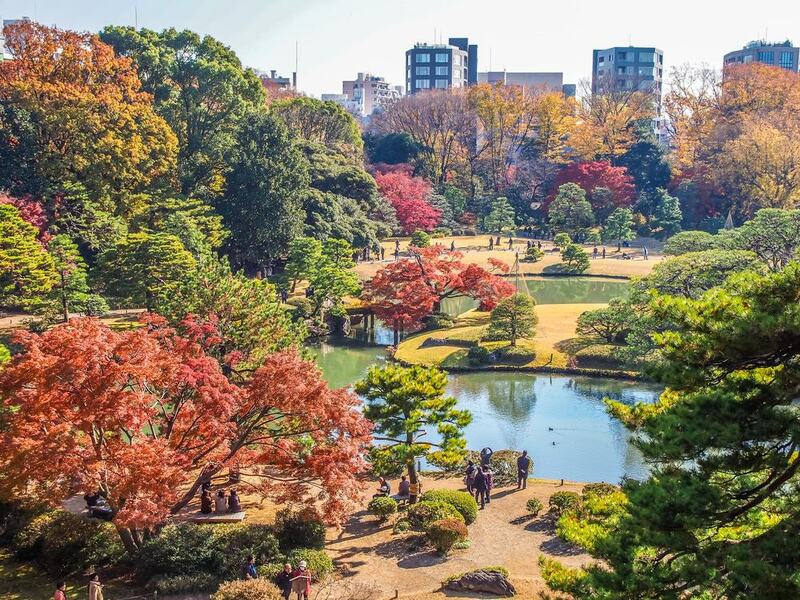 One of the best of these is the Shinjuku Gyoen National Garden which is made up of a series of gorgeous gardens which are all designed according to different themes. Some of these include a French Garden as well as an Old English Garden and a Japanese Zen Garden. If you are here in the Spring or Autumn then you can also check out the pink cherry blossoms or the burnt autumn color. To that end, there are some 1,500 trees here which gives you an idea of the scale of the gardens. 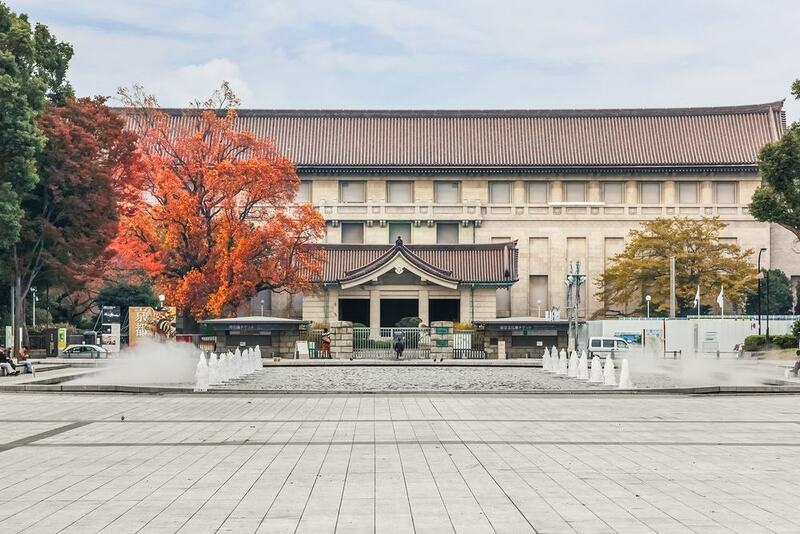 One of the most famous museums in Tokyo, if not the most famous, is the Tokyo National Museum. This is one of the best spaces in the city if you want to know more about the history of Tokyo and wider Japan and you can check out gorgeous galleries filled with Japanese art work. You can also peruse exhibitions of ceramics, pottery, sculptures and weaponry, as well as painting and ornate wood block prints. They even have textiles in show in the form of colorful kimonos and should aim to spend at least a few hours here if you want to see everything. Many people come to Tokyo just to eat their way around the city, so with that in mind make sure you don’t miss out on a dish known as Chankonabe which is also known as Sumo Wrestler’s Stew. The reason for the name is that this stew is usually eaten by sumo wrestlers as part of their daily diet and is made up of vegetables, meat, fish or noodles. 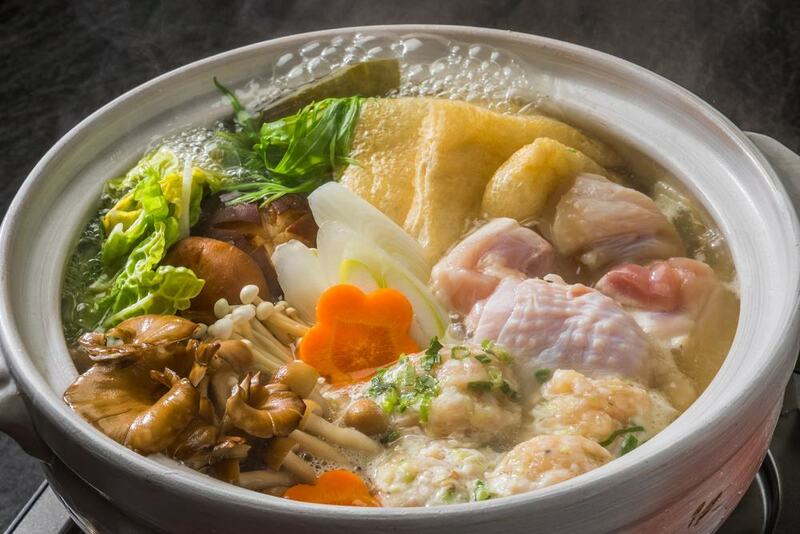 If you want to try this iconic stew then one of the best places to do so is at Yoshiba which is known for having an old sumo stable, ring and restaurant in the same building. Another pretty temple that is well worth a visit when you are in Tokyo is Fukagawa Fudo-do which belongs to the Shingon sect. One of the main reasons to come here is to check out the goma ceremonies which are best described as fire rituals. You can also check out chanting ceremonies where the sutras are recited as well as drum recitals using the taiko drums for which the temple is famous. 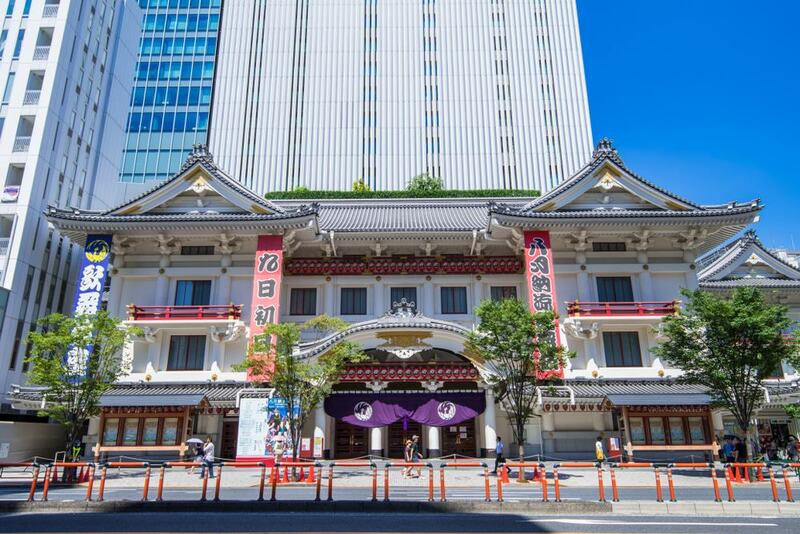 Kabuki is known for being a kind of Japanese theater and if you want to watch a performance then you need to head to Kabukiza. Here you will find a gorgeous and colorful building which was restored in 2013 and the shows here are known for their theatrical storylines and amazing performers. You will need to book in advance and schedules are subject to change, so make sure you check out the local listings if you want to catch a show. 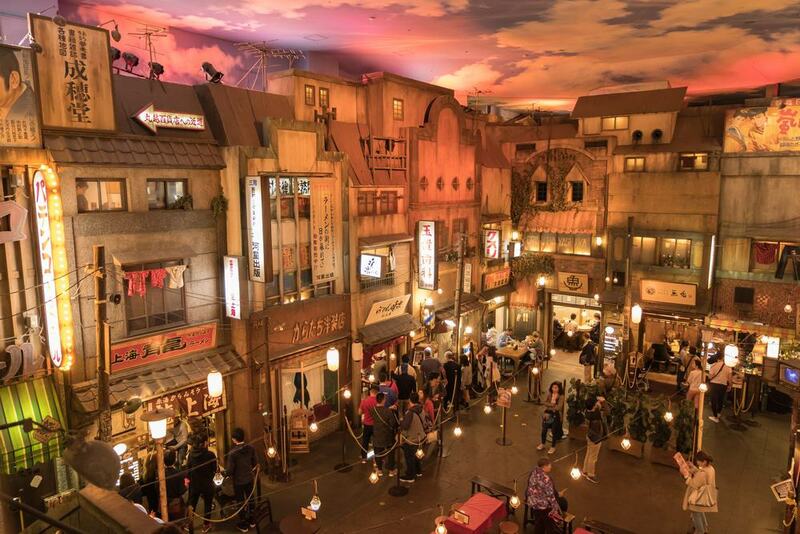 If you want to have a day out and also visit neighboring Yokohama, a satellite city of Tokyo, then make sure you don’t miss a trip to the famous Ramen Museum. As the name suggest, this museum is an ode to the humble ramen noodle and is modeled on how Tokyo would have looked back in the 1960s. 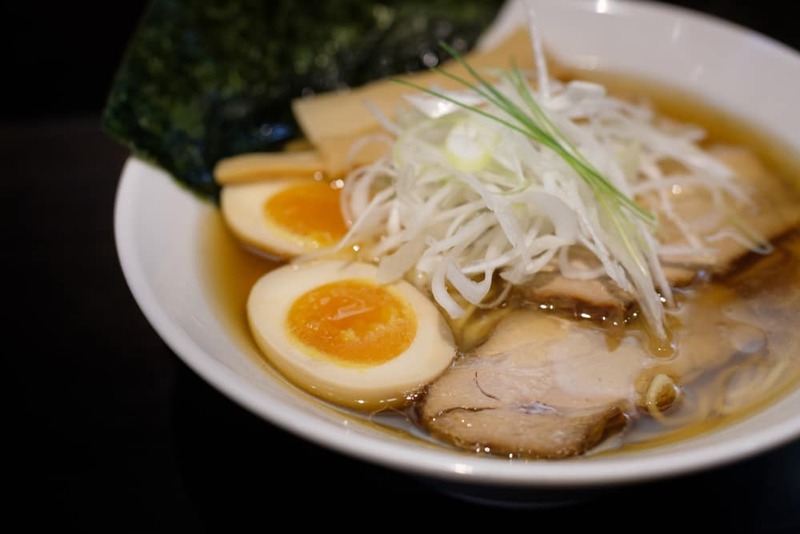 You will get to walk down replicas of old fashioned alleyways and visit a range of noodle shops and of course there are a number of opportunities to try the delicious noodles as you explore the history of ramen. 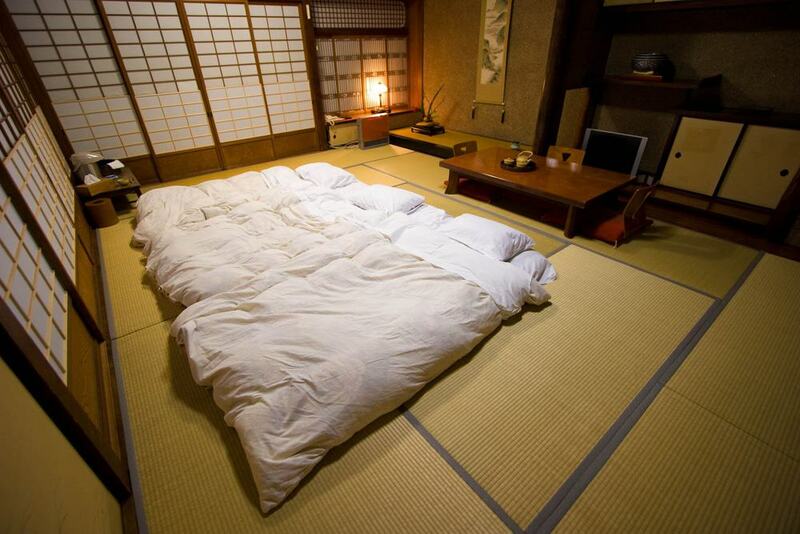 Tokyo has a wealth of different hotels and capsule hotels to choose from, but if you want a more traditional experience then think about booking a night in a ryokan which is a typical Japanese inn. Ryokans are known for their rooms which are covered in simple tatami mats and low furniture which mean that you dine sitting on the floor. There are usually baths attached known as onsen and this is the best way to check out a slice of traditional Japan as it would have been in the days of old. 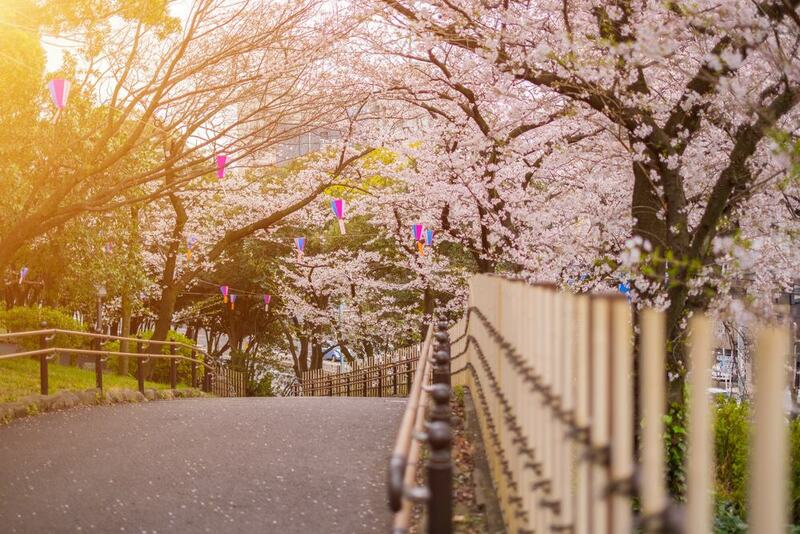 The Meguro River is located in the Nakameguro District of Tokyo and is known as being one of the best places to check out the cherry blossoms in the city. 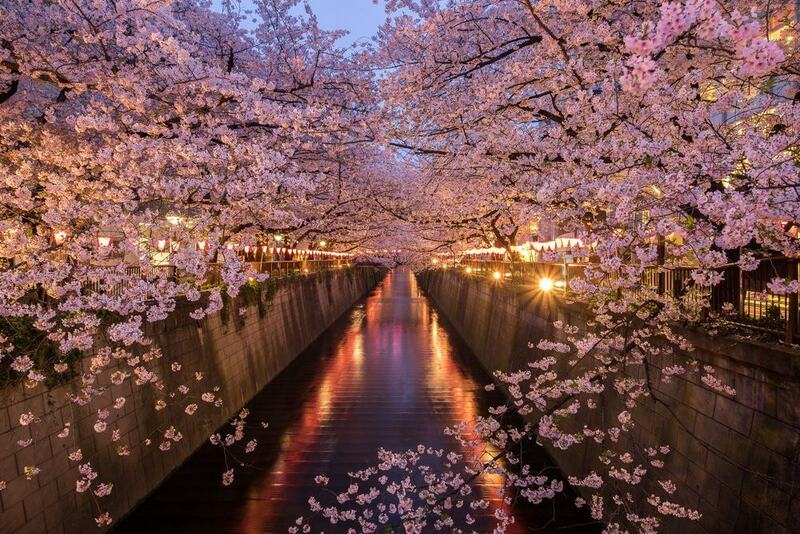 There are some 800 cherry trees that stretch along the scenic banks of the river and these are also illuminated at night if you are in Tokyo in the spring time and can catch then when they are in full bloom. 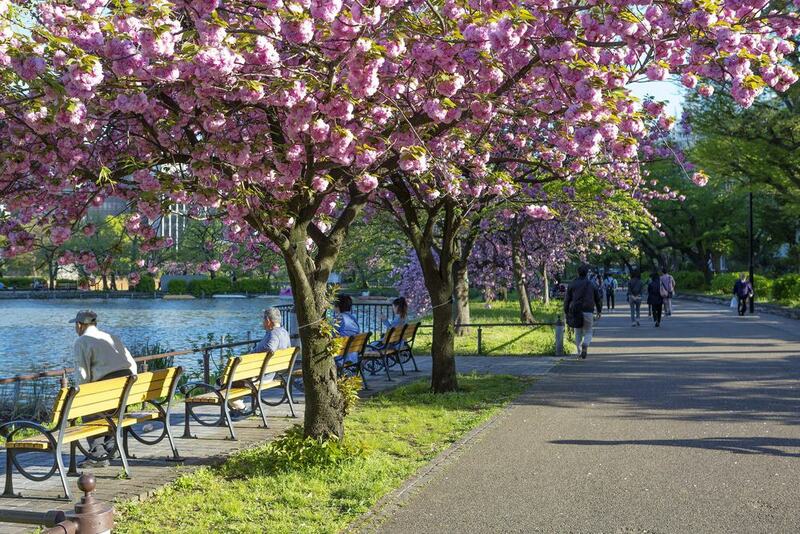 Even if it is not cherry blossom season however you can also come to the river and stroll along the lush banks to take in the serene atmosphere away from the crowds in the center of the city. 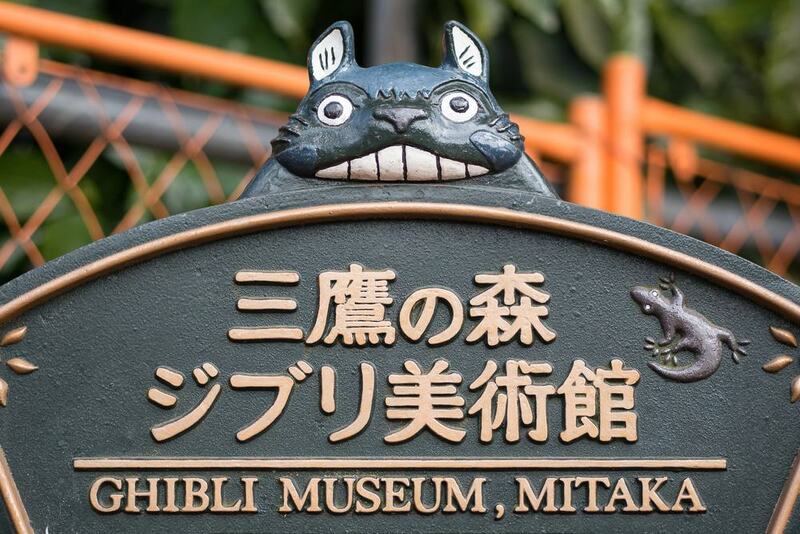 Anyone who is a fan of Japanese cartoons Spirited Away and Princess Mononoke should make sure to head to the Ghibli Museum as it was Studio Ghibli who produced these iconic animated films. You can walk around a number of galleries here and check out some of the original sketches from the animations and you can also see models of some of the characters from the films. There are also other animated films that play throughout the museum, although make sure you book in advance before you visit. 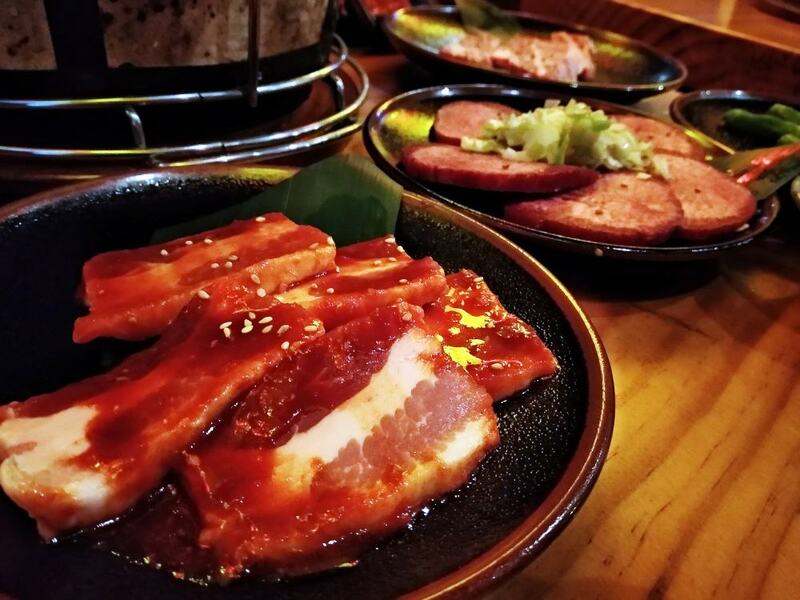 Another top dining experience in Tokyo is the chance to try out a Yakiniku restaurant which is the name for a series of grilled meats. The way these restaurants work is that you choose the raw ingredients you want and then you grill these yourself to your own tastes at your table. Some of the best cuts that you can choose at a Yakiniku restaurant include wagyu beef which is some of the most famous beef in the world and melts in your mouth thanks to the quality of the meat. 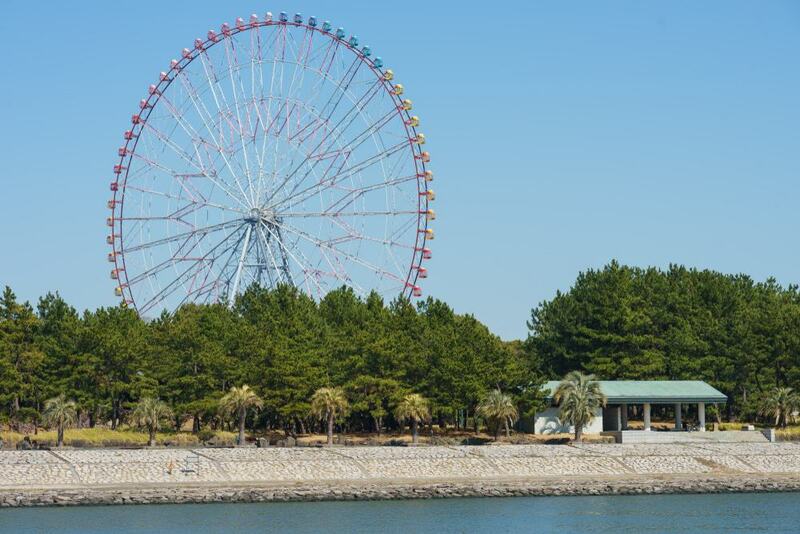 Located next to Tokyo Disney Resort is the Kasai Kaihin Park Beach which is a great place to come if you want to get out of the crush of the city center. As well as the central beach here you will also be able to visit other attractions like an aquarium, a Ferris wheel and a colorful bird park. If you come in the summer then this also makes a great place to go for a swim that is still not too far away from the center of Tokyo. 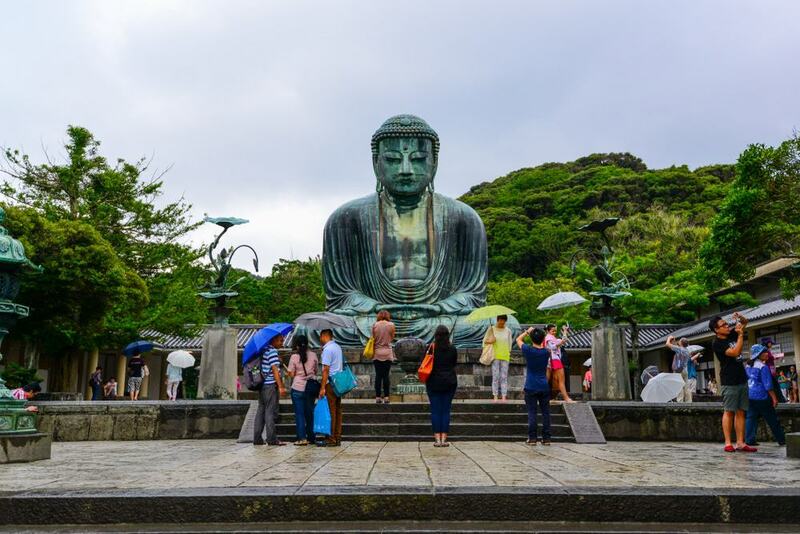 Another great choice if you want to get out of Tokyo for the day is Kamakura which is around an hour away and which is often said to have a similar atmosphere to the city of Kyoto. To that end Kamakura is known for its beautiful architecture and historical relevance in Japan, and you will be able to visit a number of dainty temples on a visit here such as Hasedera Temple which is dedicated to the Goddess of Mercy. 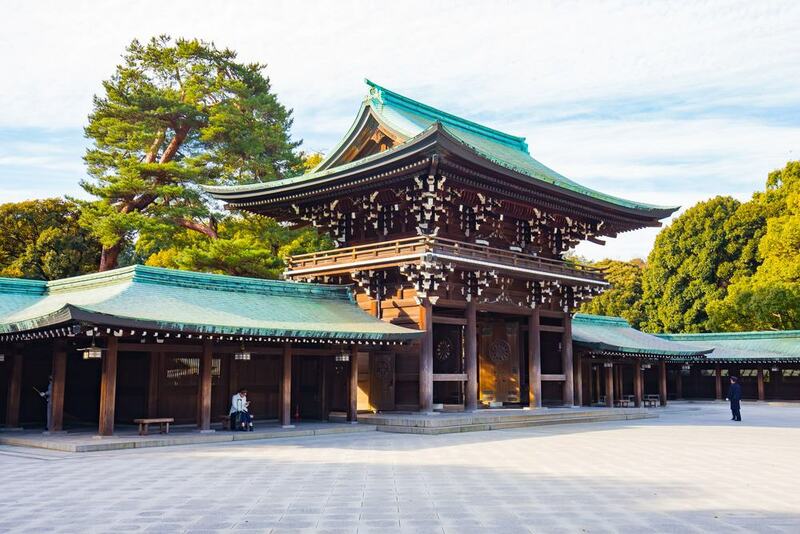 You can also spend time exploring this ornate city and visiting other historic spots such as the pretty Trurugaoka Hachimangu Shrine and the Zen Buddhist temple which is known as Engaku-ji. You can’t come to Tokyo and not try its most famous food stuff which is sushi. Famous the world over, sushi is made up of rice which is topped with a series of ingredients including raw fish, vegetables, omelet or seafood. One of the best places to sample a range of sushi dishes is at a Kaitenzushi which is a conveyor belt sushi restaurant. 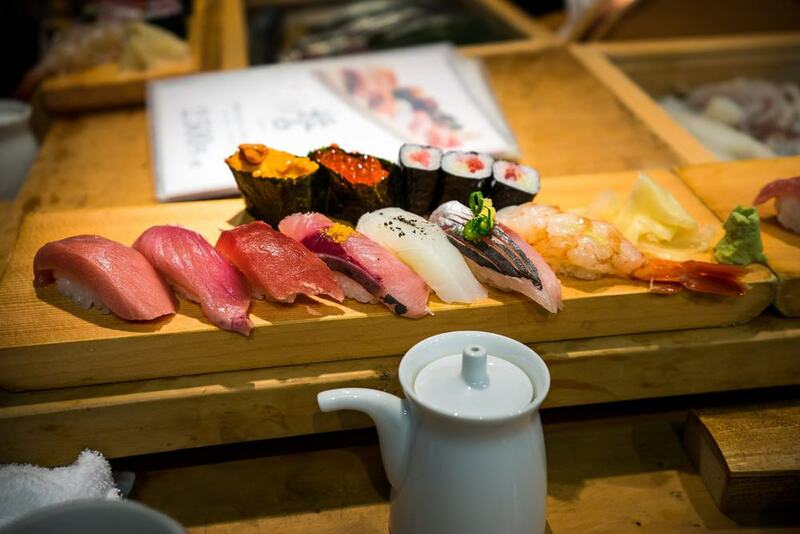 As the name suggests, you sit at a bar in front of a conveyor belt and then watch as the sushi passes you by, and you can grab anything that you think looks good on the day. This is also the best way to try sushi cheaply, as the plates are grouped according to price depending on their color, so it is easy for you to keep tabs on how much you are eating and therefore spending.